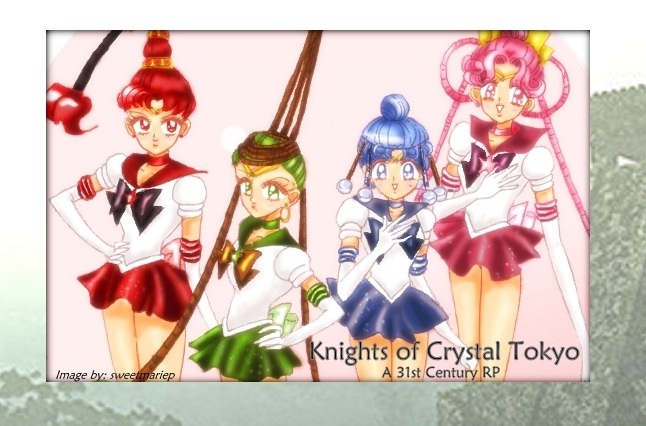 Knights of Crystal Tokyo » Roleplay » Side RP's » Crystal Tokyo » Let's Explore! Ganymede woke up one morning and sat up in his bed. He stretch his arms and then looked at the clock that was on his night stand. The clock read that it was 10 am. He got out a bed and got dressed quietly. The other Knights were sleeping from their training practice the other day. Today was there day off since it was a Saturday. He left the sleeping quarters and went to the dinning area to get some breakfast. As he was eating his bowl of cereal an idea hit him. Since today was their day off he should go out to have some fun. It would be nice to go sight seeing in Crystal Tokyo. He has only walked around city once and he barely remember the layout of the city. After eating his cereal, he put his bowl away and went back to his sleeping quarters. He closed the door behind him quietly, when he entered the room. Ganymede then looked at his follow knights. He would like to have some company on his exploration.Ganymede decided to wake up Europa seeing how he could use some fun in his life. He sat down on his bed and shook Europa. "Hey wake up!" Whatever dream Europa had been enjoying was over. He could hear his name being called and someone was shaking him. Whoever it was would surely pay. It was too early on a Saturday to be messing with the ice knight. "Go away," Europa grumbled, turning over so his back was facing the stranger, "Sleeping," it was too late though. He was already waking up and he knew there was no way sleep would return.